(Berkeley, California) – Berkeley, home to Nobel Laureates and hotbed of social activism, sustainability, and entrepreneurialism, adds one more incredible story to its illustrious lore. New Mo’ Cut: David Peoples’ lost film of Moe’s Books – weaves together a surreal story about disparate strangers with passions for used books, filmmaking, and recycling, while reclaiming a special part of Berkeley history with footage of larger-than-life icon – Moe Moskowitz – at the grand opening of his legendary Telegraph Avenue bookstore, Moe’s Books. From trash to treasure, this film is a philosophical musing on how beauty and value are in the eyes of the beholder, and how happenstance can occur anywhere, at any time, and interconnect lives in deeply meaningful ways. New Mo’ Cut is an uncanny story of how Moe found his way back to his daughter Doris and their bookstore 50 years later through a salvaged film that turned out to be made by Oscar nominated screenwriter David Peoples. The 16mm two-minute, forty-six second workprint is a time capsule of Berkeley and a peek into Peoples’ early documentary film explorations before he gained notoriety as a screenwriter rewriting Blade Runner, earning an Oscar nomination for Unforgiven, and co-writing 12 Monkeys with his wife, screenwriter Janet Peoples. New Mo’ Cut is rooted in the Berkeley community with connections to Berkeley natives such as the Moskowitz, Peoples and the city’s venerable institutions such as Moe’s Books, Urban Ore, and Berkeley Art Museum and Pacific Film Archive. The project was a community effort made possible by the 80 individuals and organizations who contributed to the film’s Kickstarter campaign last May. Special thanks to our sponsors including: Berkeleyside, Berkeley Art Museum and Pacific Film Archive, Quirky Berkeley and Longbranch Saloon. 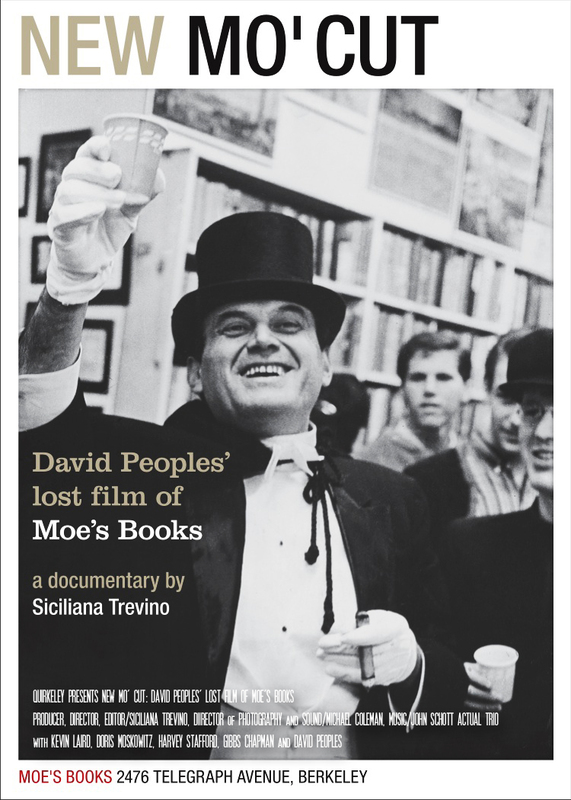 THE PREMIERE OF New Mo’ Cut: David Peoples lost film of Moe’s Books will take place on Thursday August 27th at The Elmwood Theater. 7pm private VIP Kickstarter screening, 8pm General Public. Siciliana Trevino (Producer, Director & Editor), Michael Coleman (Director of Photography), Doris Moskowitz (Owner of Moe’s Books), David Peoples (Screenwriter for Blade Runner and Oscar Nominee for Unforgiven) will be in attendance for the VIP screening. 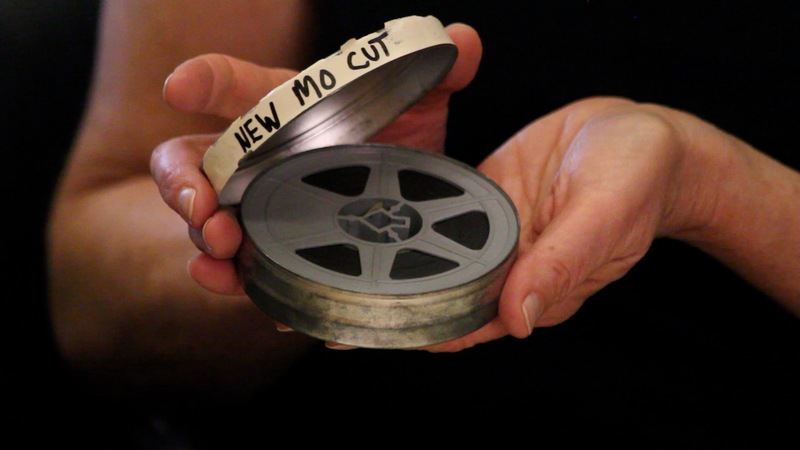 A digital copy of David Peoples’ found 16mm Moe Film will screen after Trevino’s 14 minute documentary. 7pm: VIP Kickstarter Premiere followed by Director Q and A - invitation only. Subscribe to Quirkeley on YouTube! Follow us on Twitter and Instagram, and like us on Facebook.